Mr. Ziad Sankari after he lost his father to a heart attack when he was seventeen, decided to pursue his studies in understanding the electrical activity of the heart and how monitoring and analyzing that activity can save lives. He completed a BE in Computer Engineering at Lebanese American University, worked as a telecom engineer, and later received a Fulbright Scholarship to pursue double Masters in Electrical Engineering and Biomedical Engineering at the Ohio State University. In 2009, Ziad co-founded a high-tech biomedical venture based in Columbus, Ohio. He and his team won several competitions and awards and helped raise funds for the venture that was later acquired by an industry giant in a multi-million dollar acquisition deal. In 2010, Sankari returned to Lebanon to work on another startup, CardioDiagnostics, which is based on a core life-saving technology that he developed during his research time. Currently, CardioDiagnostics’ technology is transforming cardiac care in USA and other global markets, with patients benefiting from the technology across all 50 states. US President Barack Obama recognized Ziad as “pioneering”, “life-saving” and representing “the face of change in this world”. 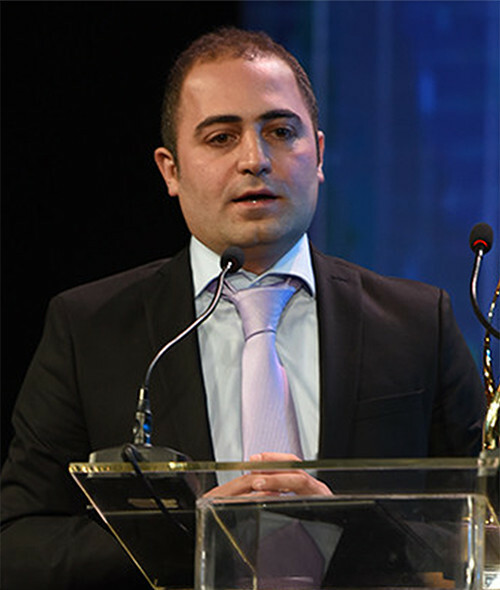 He conducted research with top US and Middle East hospitals, has been a guest speaker at the White House discussing technology innovation in developing countries, promotes innovation and entrepreneurship through university teaching and coaching of young startups, and has a number of research articles published in international peer-reviewed journals.